*Tea and Coffee available but lunch is NOT provided, please bring your own. Please email the Regional Coaching Officer, Lizzy Rees on Lizzy.Rees@archerygb.org for booking and advanced payment information. 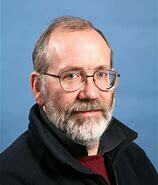 Richard is a Senior Fellow in Sports Coaching at the University of Winchester where he has worked since 2005. Since May 2014 he has worked with the UCI World Cycling Elite Coach Education Programme in Aigle, Switzerland. He has gained recognition nationally and internationally within coach education and has been an invited speaker for World Rugby, British Cycling, Cycling Ireland, Rugby Canada, England Handball and the England Cricket Coaches Association. Richard is also an experienced Rugby Union Coach Educator for London South region and Hampshire RFU as well as a Tutor for SCUK on the Fundamentals, Coaching Children and Talent Foundation workshops. Andrew Knight D.O. has been offering Osteopathic care in South Somerset since 1987, having graduated from The British School of Osteopathy in 1986. 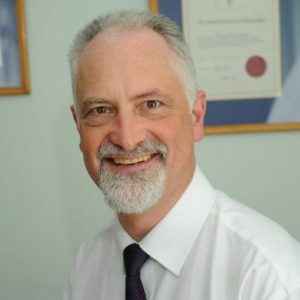 Fully Registered with the General Osteopathic Council, Andrew has practices in Keinton Mandeville near Somerton. Andrew is also a keen archer and member of Ballands Bowmen AC in Somerset. Andrew will be presenting an hour long interactive workshop as part of the conference day, primarily looking at how to move most efficiently as an archer and how to prevent shooting related injuries. With Archery GB having recently launched their new coaching strategy ‘The coaching plan for archery 2017-2021’, it is very important that the practicalities of this strategy are well understood by those people at grass roots level who are going to be providing the coaching: you guys! Lloyd Brown, member of the AGB coaching development team has been invited to attend the GWAS 2018 coaching conference in order to provide insight into the new strategy. Andrew has 20 years experience in barebow archery and is the resident barebow expert for Archery UK magazine. He has shot barebow for Great Britain in World and Continental championships in both field and 3D archery and is also a County Coach in the GWAS region. With an increasing interest in barebow archery, coaches need to know the differences between set-up of a traditional Olympic bow and a recurve barebow. In his talk, Andrew will discuss the general setup of the barebow and the particulars of set-up for string walking, including stabilisation and appropriate tillering. Erin is a postgraduate with a Sport and Exercise Psychology (MSc) at Loughborough University and undergraduate degree in Psychology (BSc) from Coventry University. 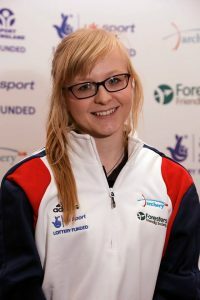 She has represented Great Britain in target archery as a compound junior archer and continues to compete at national level. Erin will be presenting a 1.5 hour workshop looking at how to form effective coach-athlete relationships.